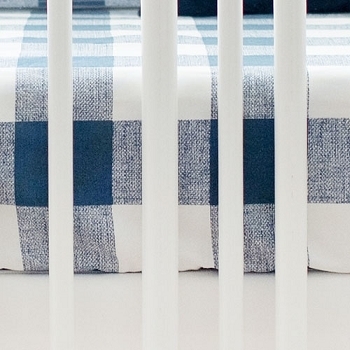 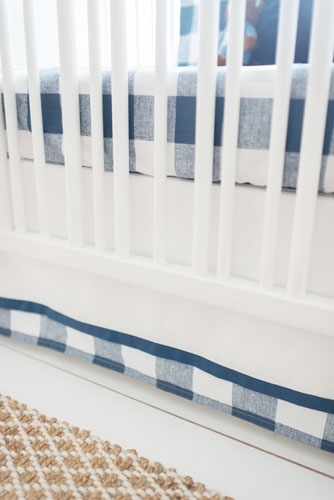 Create a charming baby boy's nursery with this adorable navy and white crib skirt. 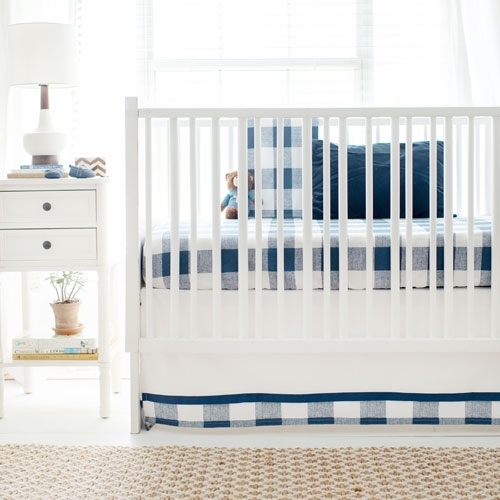 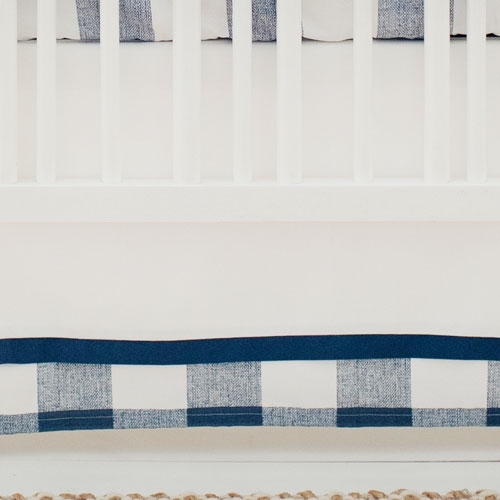 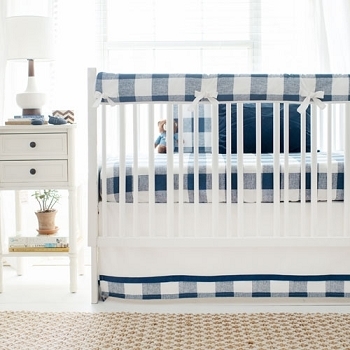 Featuring a white drop with double bands, this crib bed skirt is perfect for a baby's navy nursery! 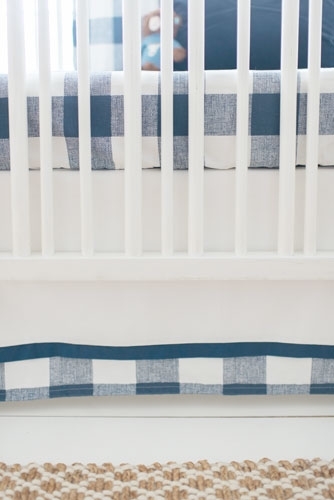 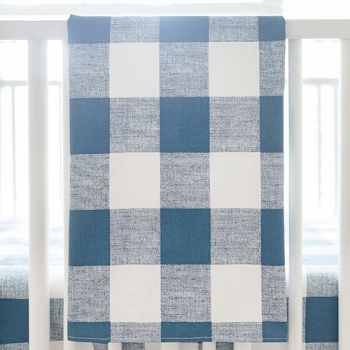 Coordinate your navy and white crib skirt with our Navy Buffalo Plaid Crib Collection and our wide selection of cotton crib sheets.